Sorry for the radio silence everyone, I have a really good excuse I promise. If you didn't see the announcement on Twitter, I stepped away from the blog to deliver our beautiful baby boy Noah and this is the first moment I have had where I have been awake enough to write and also not had a little person latched to my chest. Writing a blog post with a newborn has been a challenge so we will have to see how far I get with writing this post. In this post I will share the lead up to labour and our delivery. 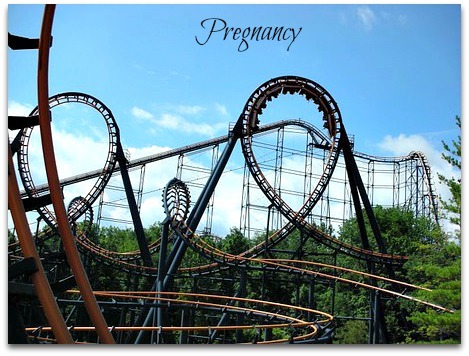 Being pregnant is like being on a roller coaster that you can't get off. There are some bits of the ride that you love and others that you wish would hurry up and just happen because your not sure you have the resilience and patients to cope. The end of pregnancy is a mixture of emotions I'm sad that I will no longer be carrying around this little person that I have managed to grow, cherish and share some wonderful moments with. But at the same time I will be glad to obviously meet and hold our baby. I am looking forward post labour to being able to see my feet again, have my waist line back at some point and see a reduction in the need to pee every five seconds. But that said at the same time with the end in sight I'm also nervous about labour; (there is only one way this baby is coming out, there is no U Turn and as much as the prospect terrifies me there's no get out clause). Horror stories about giving birth follow you absolutely everywhere when you are pregnant, everyone wants to share a grisly tale. In most circumstances in your life you often wish for advice in advance but this is certainly not the case with giving birth. Although billions of women have gone through labour no one really shares that giving birth was a positive experience, so as a first time mum you're left with the worry that excruciating pain is the only way that your baby is going to arrive. 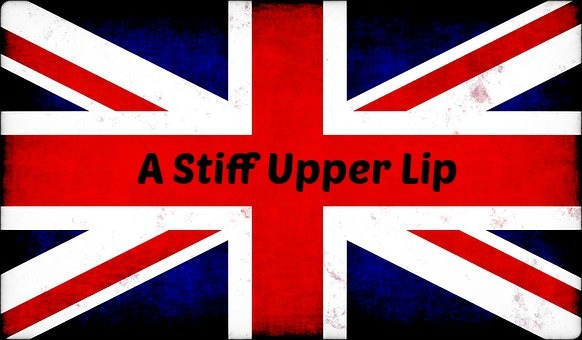 Being British we are also known for our stiff upper lip and no where is this more true than in labour. It is seen almost as a badge of honour if you can get through labour without any pain relief. If you need pain relief, you are made to feel like you have somehow failed as a human being. But the rational and sane part of myself thinks why? 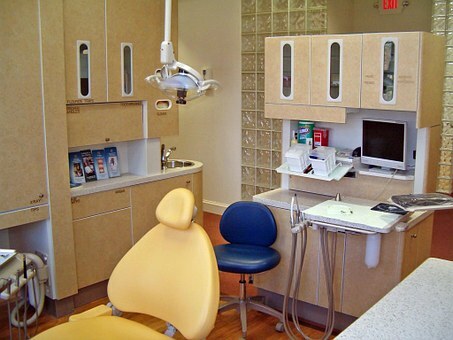 No one would willingly go to the dentist to have their wisdom teeth extracted and say "do you know what, don't worry about the anaesthetic". But maybe I missed out on the brave gene, I'm firmly hovering between excitement and panic. My advice to anyone is if you haven't been through labour before you have absolutely no idea what you will and won't be able to put up with or how your body will respond; so be open minded about your birth plan and pain relief. If you haven't read my post about preparing your birth plan and hospital bag have a look here. 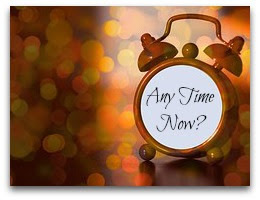 You've waited for the day to arrive and when you get closer to your labour date you suddenly feel unsure that you will know when labour has arrived. This was how I felt, sounds daft, possibly but in many circumstances there can be a build up to labour and distinguishing between false and real labour can be tricky. For myself I had three weeks of regular braxton hicks (contractions), perfectly timed three minutes apart. I also had period pains, but they never progressed. There are some signs that you might have leading up that can mean labour is not to far away. 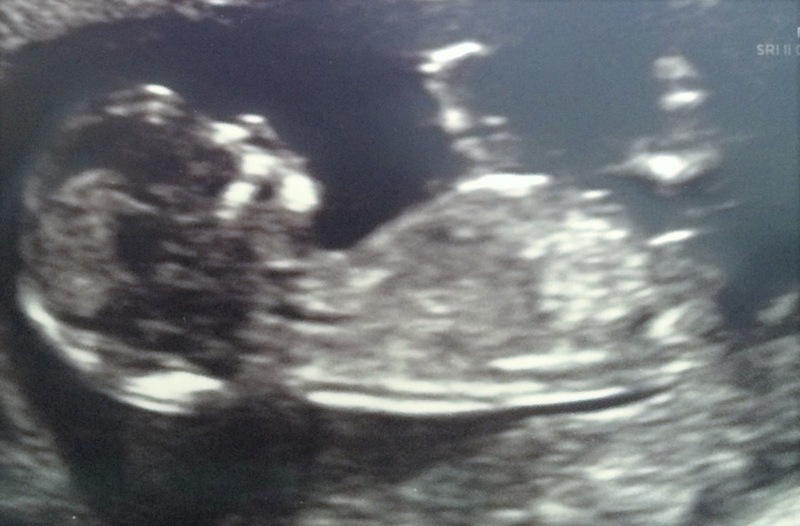 So whilst I knew that it was highly unlikely that the baby would arrive exactly on its due date, I do think I was slightly delusional that the baby would make an appearance around 40 weeks. I hadn't really considered that I could still be pregnant at 41 and then still at 42 weeks and still have no baby. What had been a calming pregnancy process to date then is heightened with everyone suddenly in a rush to 'want the baby out! '; you'll hear people say "you need to have a sweep" "if that doesn't work, we will book you in for an induction". Oh the stress and pressure applied is immense, does no one realise that a baby is not likely to make an appearance if you are stressed. Being a foodie even in the early stages of my induction and labour food was involved. When the hospital had started the induction, me and the other half headed to the Christmas markets on the South Bank to while away a few hours. After having a wander around we had a wonderful lunch in Giraffe. Little did I know at the time that this would be my last meal for thirty two hours. Contractions are like a wave of intense pain, your stomach tightens in an upwards motion, to begin with they feel like bad period pains but as they progress the pain intensifies and when your in a contraction you are desperate for it to end. When it has passed it is difficult to describe the pain, as labour develops the gaps decrease between contractions and the pain intensifies. Some people describe a pain in their back for me most of the pain I had was in my bum and hips. My bed in the hospital had the best view imaginable of London, facing the House of Commons and London eye. In any other circumstances I would have been pretty pleased with the vista but to be honest in active labour I wasn't really concentrating on much. 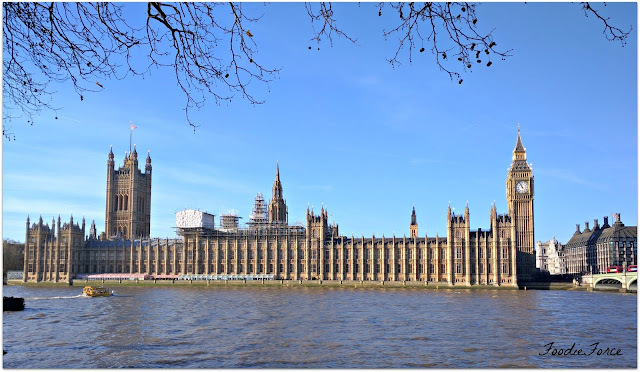 I do however remember Big Ben chiming the hours away with each passing contraction which intensified. 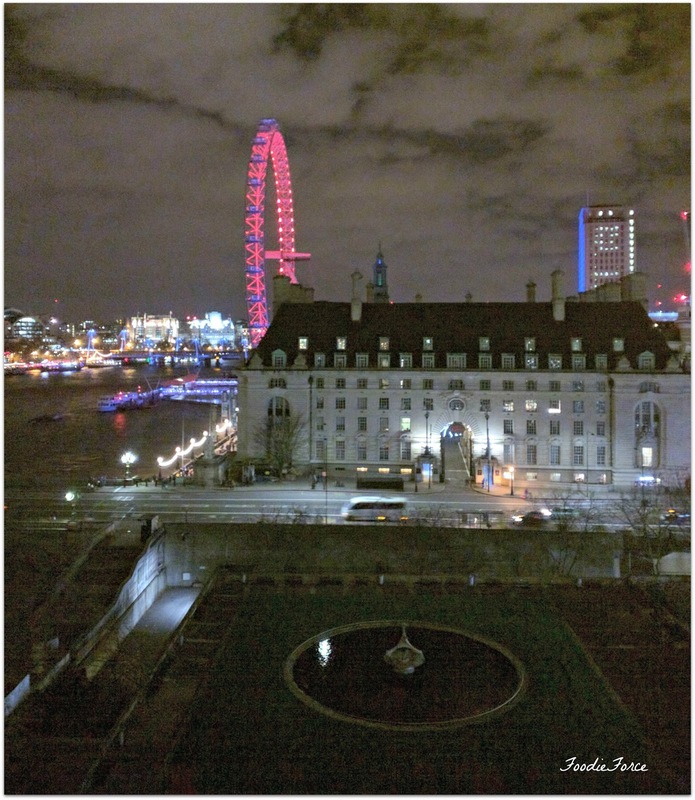 The London eye also looks beautiful at night, all lit up in red. As I had been induced my contractions were regular and intense from the beginning of labour, there was no gradual build up. I laboured for thirty two hours in total and whilst I had clear hopes for my delivery, I ended up having an emergency caesarean section because in the final hour my heart rate became erratic and our baby went into fetal distress. Now whilst this certainly was not the labour I had imagined or wanted I really did feel surprisingly calm and in control throughout. This was definitely in part due to the Hypnobirthing classes that we had attended a month before and the fact that I had a wonderful birthing partner. There is also something that those who happily share their grisly birthing stories don't tell you, there is a reason women have babies you will find an inner strength that you cannot imagine that you posses that will totally surprise you. Noah entered the world startled and unresponsive for over one minutes and was unable to breath unaided for ten minutes. They were the longest ten minutes of our life; and I can't lie that laying on the operating table I was willing with all my heart and might that the little man would let out a cry. All thoughts of the man rummaging and poking around in my stomach had long since passed. I cannot describe the relief when for the first time I heard this startled high pitch little cry from our little man. I sadly didn't get to see him or have the cuddle that I had laboured so hard for and to be honest by this stage really needed as he was whisked off to intensive care. The love though when I did get to see him a few hours later was instant and we are absolutely in love with our little man. Welcome to the world Noah.